Lancaster Safety’s management team consists of top level leaders that are each essential in their respective departments. They are all extremely dedicated to making sure our daily operations are running smoothly in order to make sure each client’s journey with us is the best it can be. We are proud that 5 members of our management team have been with Lancaster Safety for 10 plus years! They are eager to help each employee develop in their careers and make sure every client’s needs are being delivered. We strongly believe that employees are the most important asset and the preservation of employee workplace safety and health must remain a constant consideration in every phase of business. A company must provide the resources necessary to manage, control, or eliminate all occupational safety and health hazards. Lancaster Safety is dedicated to helping our clients achieve a safe workplace. In order to accomplish this goal, a world class occupational safety and health program with onsite training must have total management, leadership, and employee involvement. Therefore, safety must be management’s highest priority. Production should never be so urgent that a company cannot take time to perform work safely. Lancaster Safety Consulting, Inc. (LSCI) was founded by Jeffrey A. Lancaster. Serving as a safety consultant since 1976, Mr. Lancaster has gained extensive workplace safety experience while conducting countless on-site safety evaluations for a broad range of general industry and construction clients. Mr. Lancaster recognized the demand for an outside occupational safety consulting firm that specialized in providing exceptional onsite safety training & OSHA compliance consulting services. As a result, LSCI was founded in 2004 and was incorporated in 2005. 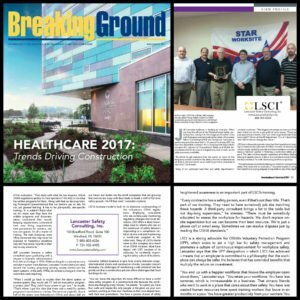 LSCI’s family-based business continues to earn its reputation as a nationwide leader in providing occupational safety and health consulting services and onsite safety training. As a proudly established OSHA VPP Star site, we aim to create innovative safety practices for our company and our clients. We consistently meet and exceed our client’s expectations with hard work and positive attitudes. 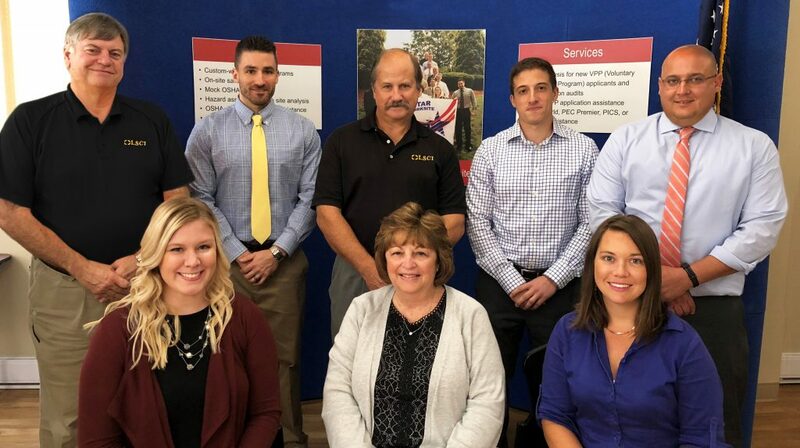 Lancaster Safety’s employees are devoted to providing our clients with their best safety consulting expertise to unravel difficult occupational safety challenges. Our vision is to help achieve OSHA’s goal of getting every employee in the United States home from work safely every day. An important element in achieving a world class safety program is having a strong safety culture. Read about our recent interview in BreakingGround Magazine as we discuss this topic further.